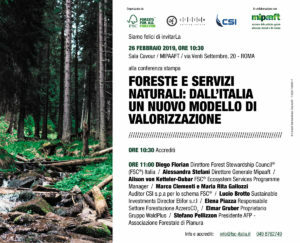 A number of Italian forests in the Veneto, Lombardia and Trentino-Alto Adige regions are the first forests in the world to have scientifically calculated and verified the benefits their trees provide to humankind according to the international certification procedures provided by the Forest Stewardship Council® (FSC®). This world record is the result of the collaboration between WaldPlus, an Italian company specialized in forest management, and Etifor, responsible for the quantification of the positive impacts on humankind, technically known as ecosystem services. Etifor quantified the positive effects of responsible forest management on all the five ecosystem services included in the new FSC procedure (biodiversity conservation, improvement of water quality or availability, protection of soil quality and stability, increase in CO2 absorption and enhancement of touristic and recreational services) and obtained the validation from an independent third-party certification body. This verification ensures extreme transparency and the appropriate visibility for those actors that invest in improving forest management, whether they the owners and managers of green areas or people and companies that have understood the importance of the role of forests in our daily life. The application of the new FSC procedure, implemented by Etifor, represents a real model of multifunctional valorisation that can potentially be repeated at national and international level and that brings added value to forests and natural areas. Are you a landowner or a manager of a green area and would you like to know more about how to understand the complete value of your property? Are you an environmental consultant or an auditor and would you like to know more about the new FSC ecosystem services procedure and its potential? Do you represent a company that wants to turn sustainability into improvements in business’ performances? 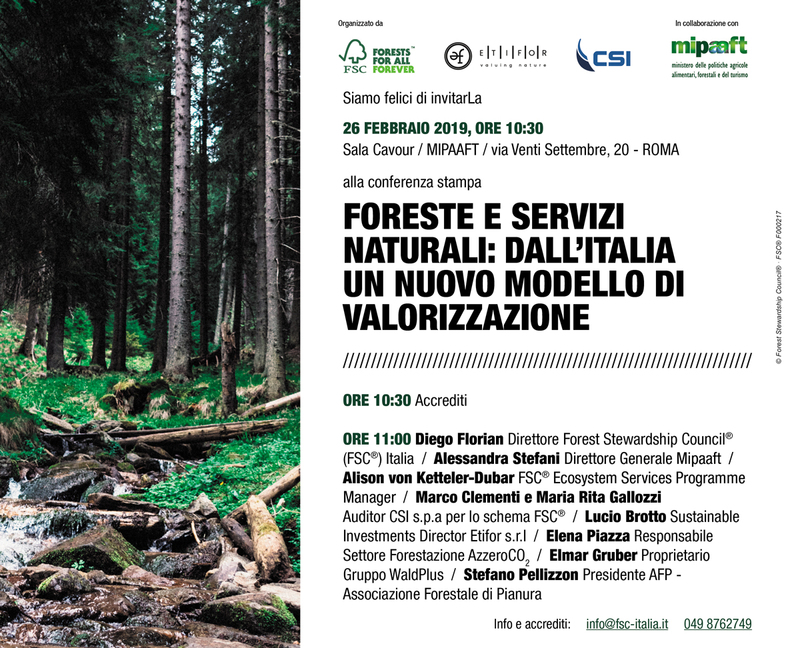 On February 26th in Rome – in collaboration with the Italian Ministry of Agriculture, Food, Forestry and Tourism (Mipaaft) – Etifor, together with FSC Italy and other actors involved in the certification process, organized a press release to raise awareness of the positive impacts of forests on our daily life this new world record in certification.